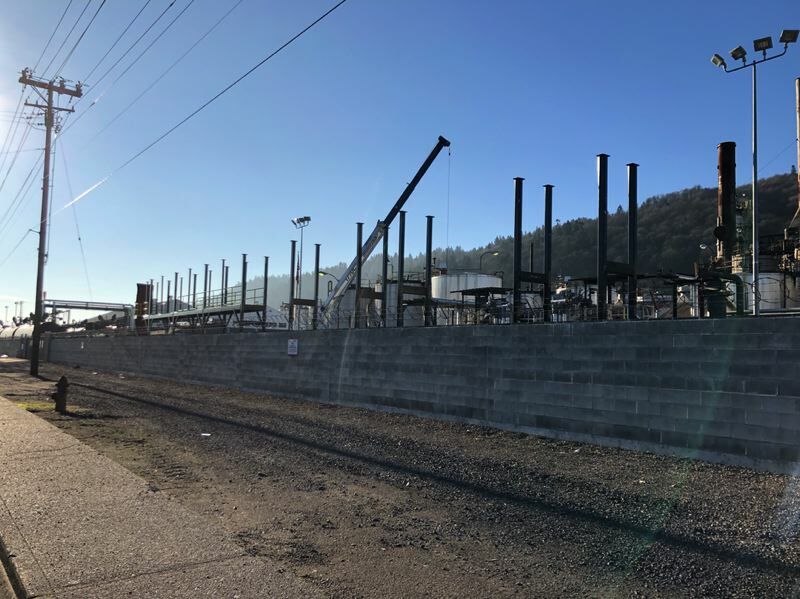 Zenith Energy is expanding its terminal in Northwest Portland, to accommodate train shipments that would be transfered to ocean-going ships. A Portland petroleum terminal is significantly expanding its capacity to unload rail cars, a move that sets the stage to more than double the number of oil trains along the Columbia and Willamette rivers into Oregon's biggest city, OPB has learned. Zenith Energy, sandwiched between the river and Forest Park in the city's Northwest industrial district, began receiving train shipments of crude from Canada's oil sands last year, records show. The oil is stored in tanks and later pumped onto ocean-going vessels. Zenith's outpost in Portland now has visible construction underway on a project to build three new rail platforms that will nearly quadruple the site's previous capacity for offloading oil from tank cars, according to building plans filed with the city of Portland in 2014, which the city's Bureau of Development Services confirmed Wednesday. When operational, a terminal with such a capacity could handle multiple oil trains per week — a sizeable increase over Zenith's 2018 operations. According to Oregon Department of Environmental Quality estimates, the site handled fewer than 30 full oil trains throughout last year. OPB is a news partner of the Portland Tribune.